The shells have a fascinating history. They were bought by a Mrs Borough in 1815 from George Humphrey, a London dealer in shells and ‘curiosities’ who in turn had bought shells collected on Captain Cook’s second and third voyages of discovery to Australia and New Zealand in the 1770s. 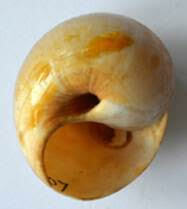 It is almost certain that the Australian and New Zealand shells in the collection came from Captain Cook’s voyages. George Humphrey was one of the world’s first conchologists, and wrote numerous catalogues of important shell collections. 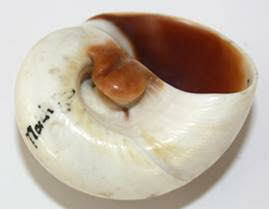 The shells in Derby Museum have tiny numbers written on them by George Humphrey, and his original lists survived with the collection. This unique combination of actual specimens related to original lists provides a missing link for modern shell specialists, allowing them to translate long forgotten 18th century shell names into their modern equivalents. The Borough family was once a prominent Derby family, originally called Borrow, living at Castlefields House, before moving to Chetwynd House, Shropshire in 1803. Mrs Borough’s shell collection was passed down in the Borough family until they were donated to Derby Museums in 1961, along with six Joseph Wright oil paintings and a portrait of Isaac Borrow, twice Mayor of Derby in 1730 and 1742. The shells are on display in Derby Museum’s new nature gallery ‘notice nature feel joy’.